The loan charge is about tax avoidance. A subject that has been in the news a lot since the Great Recession of 2008-2009. For many taxpayers, particularly contractors, it has been a worrying decade. It’s not been worrying because contractors have set out deliberately to not pay what they owe. It’s been worrying because tax has become a political football. Used by all parties. HMRC have used this convergence of thought to proactively and aggressively clamp down on the contracting sector. It’s this drive that had led us to where we are now – the loan charge. Which has driven some independent contractors to the brink of suicide (source: Evening Standard). For many years, “tax specialists” were promoting something called Employee Benefit Trusts to independent contractors. Employee Benefit Trusts did not pay wages to their members/employees. They loaned money to them with no expectation that the money would ever have to be paid back. This has been going on for years. It first really hit the headlines as one of the main reasons behind the fall of Rangers Football Club. Ex-owner David Murray said that “tax avoidance is a right” (source: Daily Mail). Even comedian Jimmy Carr, one of 500 directors of RomanGate, openly campaigned that “tax avoidance was a human right” (source: Guardian). In this article, Umbrella Broker will track the history of the loan charge. We’ll look at it’s devastating effect on the lives and financial affairs of tens of thousands of contractors. We’ll also look at where we are right now. Two months before the Loan Charge is due to be added to contractors’ tax year 2018/2019 self assessment returns. Despite this, HMRC did nothing. It was, to all intents and purposes, actually legal (if morally questionable) to use such schemes. In fact HMRC openly supported the creation of the “Declaration of Tax Avoidance Scheme” program (DOTAS). It brought the shady world of tax out into the open. As if creating an approved register of tax schemes wasn’t proof enough that such schemes actually worked. When HMRC reviewed contractor’s taxes, self-assessment forms weren’t sent back to members of employee benefit trusts with queries on their loans. The returns were, in effect, “signed off” despite the August 2011 warning and others. What changed was the introduction of the Finance (No 2) Act of 2017 to Parliament which later become law. HMRC could now declare these loans as salary/income. This wasn’t the most controversial part of the new law though. As part of the deal HMRC could NOW retrospectively look back to taxes paid in 1999/2000. To recalculate the taxes that should have been paid. This change in the law gave rise to what is now most commonly referred to as “The Loan Charge”. Contractors who were members of employee benefit trusts and similar schemes will now have all loans that were not paid back to the employee benefit trust treated as income. This means that, depending on a contractor’s individual arrangements, up to 20 years’ worth of loans could be reclassified as salary. HMRC’s first port of call for the collection of this revenue will be the employee benefit trusts themselves. 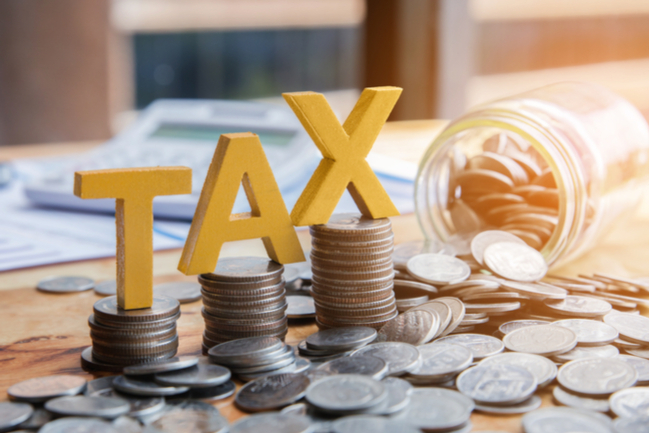 If the trust no longer exists or it lacks the funds available to pay a member’s tax, the contractor would be liable not only for the income tax but for both forms of National Insurance. Depending on a contractor’s now-declared salary during individual tax years, HMRC may ask for up to 60% of the sums they received. Umbrella company loans are also included in the Loan Charge campaign. The amount owed is worked out by looking at the quantum of the unrepaid loans between 6th April 1999 and 5th April 2019. That amount will be added to this year’s self-assessment and become payable on 31st January 2020. HMRC have really announced. Any taxpayer caught out by the loan charge who owes more than £50,000 would be able to pay the Loan Charge back over 5 years. If an individual needs longer, the taxman will consider it case by case. A prerequisite to being granted the additional time to pay is that an individual is no longer a member of any loan charge scheme. It has been widely acknowledged in Parliament and by HMRC themselves that many people who partook in employee benefit schemes and the like will have been duped into doing. It is thought that they were not warned by a scheme’s promoters about HMRC notices like those from August 2011. Many other contractors, under the guidance of their recruiter or specific clients, would have been forced to join the service. Otherwise they would have not been given the work. Those who had no choice but to join these schemes would have been completely unaware of their later illegality. There are of course others who did enter such arrangements full well knowing they were disliked by HMRC, yet given the DOTAS scheme, and the lack of action by HMRC as to the use of loans, felt (arguably correctly) that despite their actions being morally questionable, the act of reducing their tax bill wasn’t in fact wrong. As the law stands, contractors who were members of such schemes without any knowledge that they were in fact illegal tax avoidance schemes are treated the same as a contractor or other employee who knew full well what they were doing. In a debate on the Finance Bill in Parliament on 9th January 2019. Anne Main, the MP for St Albans, tabled an amendment forcing the Treasury to review the Loan Charge. That it must present its report and findings to the House of Commons by 30th March 2019 (source: The Herts Advertiser). Liberal Democrat MP Ed Davey said the loan charge had caused “gross misery” and “offends against the rule of law” (source: Telegraph). ContractorCalculator CEO, Dave Chaplin, accused the Government of using “schoolboy propaganda” and “an appalling use of statistics to obfuscate a very serious issue.” (source: Contractor Calculator). The HMRC Loan Charge Action Group has campaigned against the measure. In a survey mentioned in a report by Contractor UK, said that 70% of those facing the charge were at risk of bankruptcy. Half would lose their home, one third had experienced a relationship breakdown, and 40% had considered suicide. Where are we now? We have to wait and see what the findings of the report being prepared for the Commons say as well as the reaction of the government and HMRC. You missed the self-assessment tax return deadline – now what?